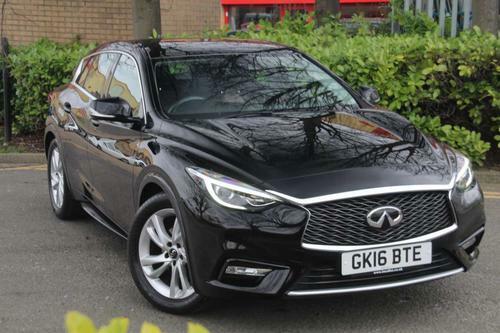 Priced at £10,999, Cargiant is selling this used Q30 1.6 T Premium. Be quick and snap up this super deal whilst it's still on offer, email or call the customer care dept at Cargiant to begin the purchase of this Infiniti Q30 1.6 T Premium as soon as possible. Priced at only £12,999 is this Saloon featuring Auto transmission with a 2100 CC Diesel engine. This used model has a Grey finish and has 27259 miles clocked up on the dash. It could be all yours to enjoy in no time. Just call or email the customer support department at Cargiant in London. Test drive this Infiniti Q50 featuring a 2.2 L Diesel engine with Auto transmission. This second-hand model at our dealership has a Grey finish and has clocked-up 26598 miles. Becoming the new owner of this vehicle might just be a short phone call away. Incorporating a 2100CC Diesel engine with Automatic transmission, this second-hand Saloon is available for sale in the tone of Black with 71550 miles on the dash. 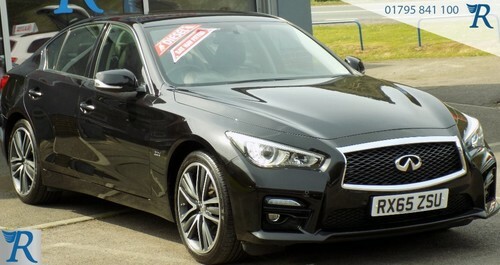 The Infiniti Q50 shown here is available to buy for you to purchase with a payment package that best suits you. Go over to Vibe Motors or pick up the phone to talk with their helpful team. Take a test drive in this 4 door Automatic Infiniti Q50 2.2 TD SPORT (S/S) which has got a 2143CC Diesel motor. This second hand model comes in White and hasclocked up 50055 miles. This dealer in Edmonton offers a range of affordable ways to pay for this Q50, giving you the option to either pay the full £11,980 or alternatively, you could opt for monthly instalments which start from only £276.38 per calendar month. Take a test drive in this 4 door Automatic Infiniti designed with a 2.1 Litre Diesel motor. This second hand one available from Quality Part X Edmonton hasdone 50055 miles and is finished in the shade of White. 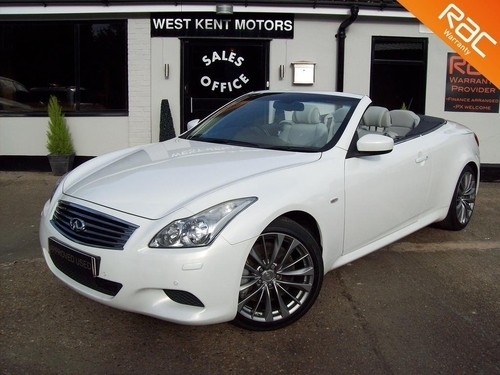 Giving the next lucky owner a really excellent and luxurious way of getting around, this Infiniti is currently on offer and is available to buy. Simply get in touch with one of their friendly advisers to organise a test drive. At just £14,490 is this FX incorporating Automatic transmission with a 3.0 L Diesel engine. This second hand one at our dealership in London has a White finish and has 54000 miles clocked up on the dashboard. Arrange an appointment for a chat with a member of our sales team to learn how quickly this car could be yours to drive home. This like new EX TD Business Executive incorporates a Diesel, 1.5 litre engine and Manual transmission. Available for sale in a Black finish with only 6000 miles on the dashboard. If you wish to become the new proprietor of this motor, then call or visit to have a chat with the customer care office. If you would prefer, you could also choose to spread the cost with finance and utilise the fabulous financing options that are available. Your instalment plan could begin at only £341.21 per calendar month! Obtain more information and get a deal that's tailored to your requirements. With a second hand car like this on sale at such a terrific price of just £19,988 and achievable credit options available to suit you - owning this vehicle could be easier than you may expect. Equipped with a wide variety of helpful features, this motor is readily available at the incredible price of just £19,988 and manageable repayments on offer starting at only £461.13 monthly. 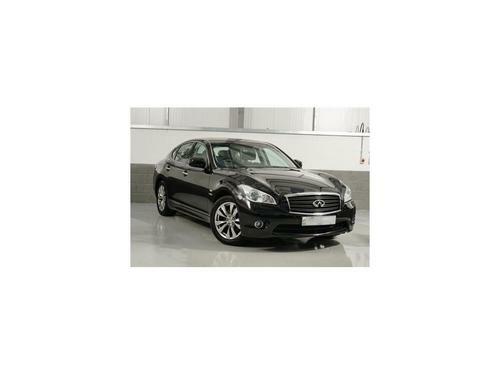 Drive this used Infiniti for £16,990. Credit plans start out at only £391.96 per month for this car with 7600 miles on the clock, 2100 CC Diesel engine and a Automatic gearbox. At such a terrific price on this Infiniti Q70, it won't be available for purchase for long. It can be yours for just £16,990 or why not spread the cost, simply call or email the knowledgeable purchasing department to learn what credit methods this dealership has to offer. 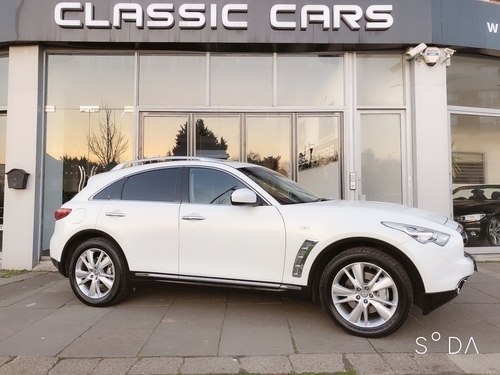 On offer and ready for its new owner to take home is this QX70 with a 3.0 L Diesel engine and Automatic transmission. This second hand model has got 43000 miles on the clock. Would you prefer to spread the cost of buying this motor? 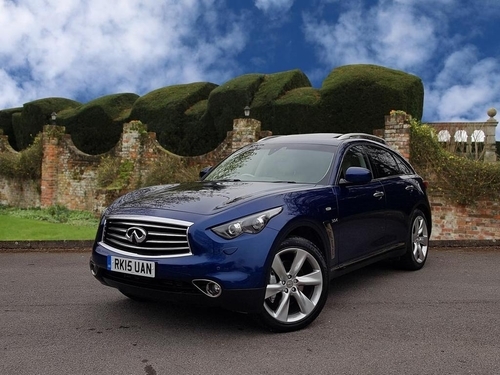 Determined by a financial check, this QX70 could be yours to buy with a loan. Find out about the extensive choice of instalment methods available for you to use by getting in contact with Speeds. This used car painted in with a Black finish can be yours with finance. Repayments begin at only £311.33 per calendar month. With a price of £13,495 and monthly affordable payments beginning from as little as £311.33 per calendar month, the prospect of owning this motor could only be a test drive away. Take a trip to Grays Of Chatham Ltd in the Kent area for a chat with one of our sales team members about purchasing this Saloon second hand car. 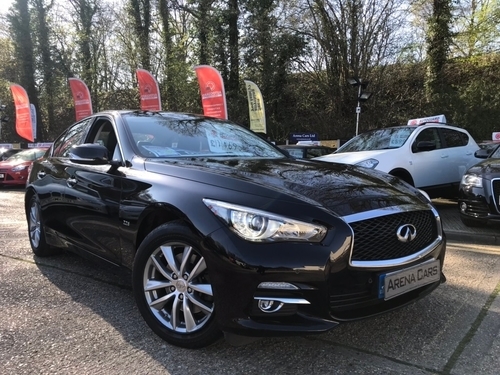 Now on offer and ready for you to drive home is this Q30 BUSINESS EXECUTIVE D 5DR HATCHBACK with a 1461 CC Diesel motor and 14614 miles on the dashboard. This Hatchback is currently available on the market priced at £13,250 or on finance with achievable payment options beginning at £305.68 per month. Just contact one of this dealership's expert advisers ASAP and organise to test drive this Infiniti Q30 BUSINESS EXECUTIVE D 5DR HATCHBACK. 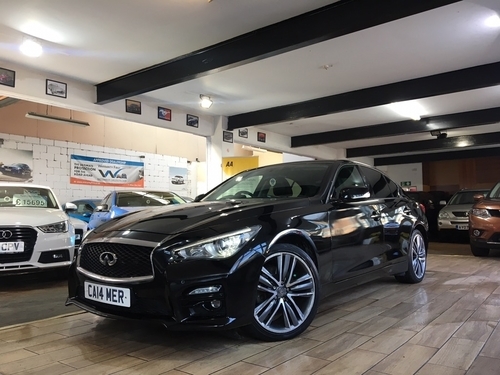 With a Black finish, this Hatchback Infiniti has only clocked up 14614 miles and comes fitted out with a 1.5 ltr Diesel motor and Automatic transmission. 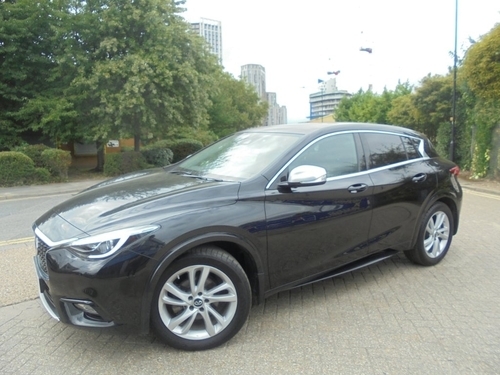 To begin buying this Q30 BUSINESS EXECUTIVE D 5DR HATCHBACK, just get in touch with their expert team to get more info. Available for sale is this Infiniti Q50 2.2 TD PREMIUM EXECUTIVE incorporating Automatic transmission with a 2.1L Diesel engine. Go to test-drive this used Q50 2.2 TD PREMIUM EXECUTIVE with low mileage at Arena Cars Ltd in Aldershot.. 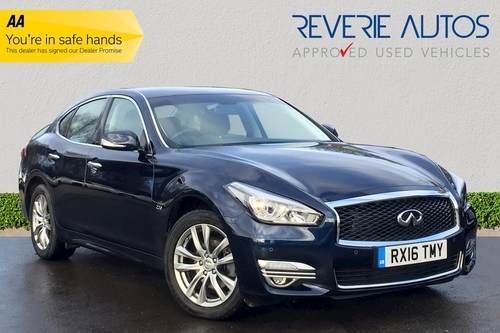 Featuring Automatic transmission and a 2.2 Ltr Diesel engine - this used Infiniti Q50 is now available on the market with 31400 miles clocked-up on the dash. If you’re thinking about getting this car or would like to enquire, get in touch with Roydens Ltd" in Sittingbourne. 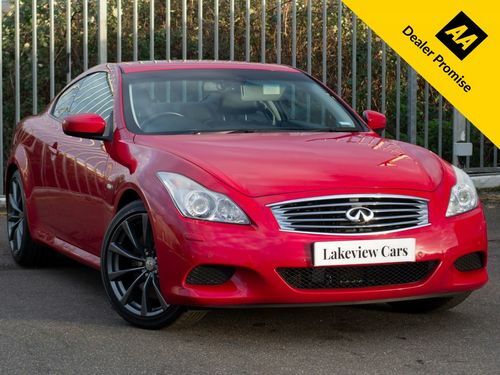 Don't miss out on this Red Infiniti with a Automatic gearbox and a Petrol, 3696cc engine. Available at our fabulous price of just £12,945. Get this Infiniti G37 - it is actually available right away. You can also pay for it with a quick loan; speak to this dealer for further details. 29000 miles clocked up on the dash, this 4 door Automatic Infiniti G has a 3500CC Hybrid – Petrol/Electric engine with Automatic transmission. With achievable instalments at hand starting out at only £322.75 per calendar month, this Saloon G 3.5 V6 GT PREMIUM could be yours to drive away. Contact the helpful sales department to arrange a viewing. Showing 1-18 of 204 items.